The Tulalip Diabetes Care and Prevention program is working to make Tulalip a healthier community. With diabetes prevalent in Native communities throughout the United States, many families feel a need to change their die,t but don’t know where to begin, After a day’s hard work, it’s far easier to order in or carryout than to hit the stove and whip up a meal. 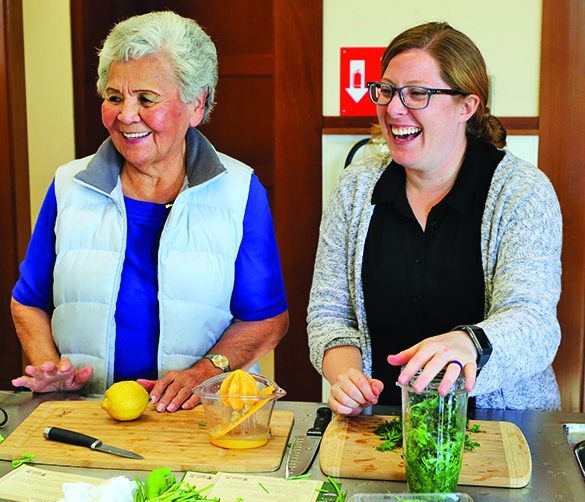 The Diabetes rogram knows that adjusting to a healthy diet can be an overwhelming task, therefore, the program has created a series of cooking classes, hosted twice a week at the Hibulb Cultural Center. The exciting hands-on learning experience teaches community members how to prepare healthy, diabetic friendly, easy-to-make meals. 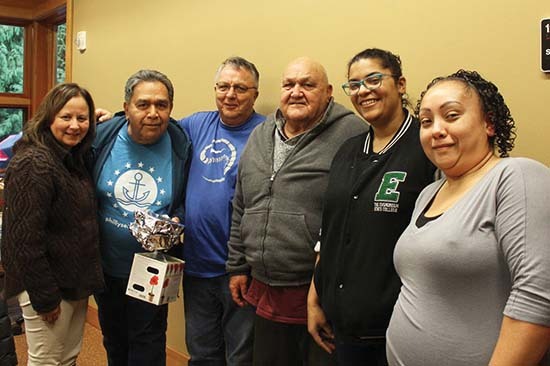 The Diabetes program called upon Tulalip community member Brit Reed to lead the series of classes. As a member of the Choctaw Nation, Brit found her passion for cooking at a young age while assisting her aunt in the kitchen. But it wasn’t until she received an assignment while working on her Master’s Degree at Evergreen State College, that she revisited her passion. 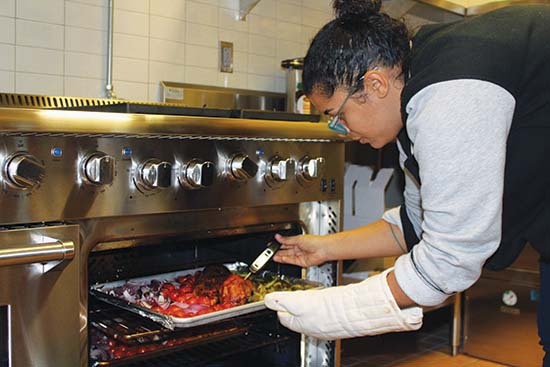 For her assignment, she created the Facebook group page, Food Sovereignty is Tribal Sovereignty, where members of the tribal community can discuss traditional foods and share stories and recipes with one another. 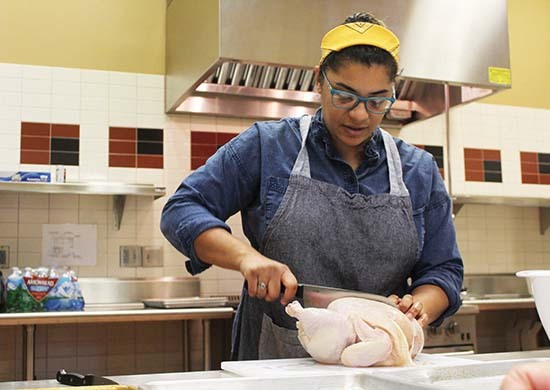 Brit continued to explore traditional foods and became inspired by Native cooks, such as the Sioux Chef, to attend culinary school and enrolled at the Seattle Culinary Academy. Most recently Brit became a member of I-Collective, a non-profit organization consisting of Indigenous chefs, activists, herbalist, and seed and knowledge keepers from across the nation. “I grew up in a family where it was really important to cook at home,” Brit explains. “My parents were really strict about us eating around a table together, every single day, and having dinner. Even though I kind of hated that as a kid, when I grew up I really grew to appreciate that; I actually think I was initially inspired by that. Later on, I started working with my auntie in Nevada, cooking for our family and our community, learning about traditional foods and the way it can help people get better mentally, physically and spiritually. 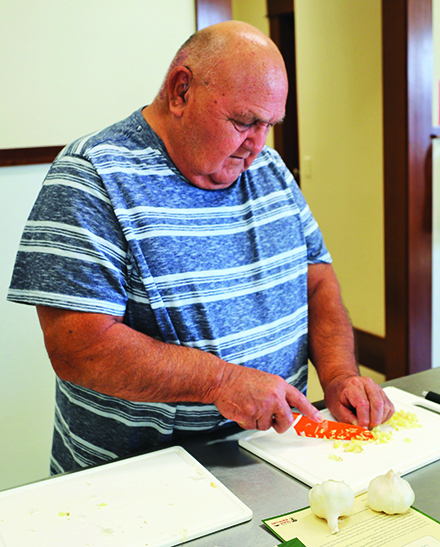 During the Cooking Together classes, community members learn new recipes, experiment with new foods and seasonings, and also learn new techniques such as knife skills. Once the meals are prepared, students enjoy their food creations together while sharing stories and exchanging life advice. The classes are open to the entire community and frequent attendees include the Tulalip Wisdom Warriors who provide both valuable insight and loads of laughs to each class. The classes currently take place on Saturdays and Mondays through December and will be taking a brief holiday break before returning in February of 2018. 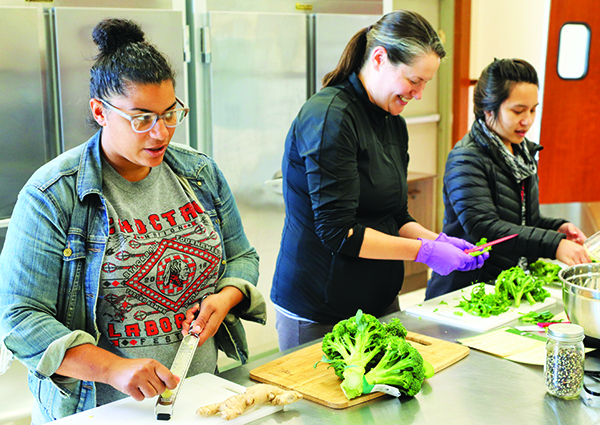 The Diabetes Program recently dedicated the Monday classes to making a variety of soups from scratch and will be donating the food to the homeless shelter as well as the Senior Center. 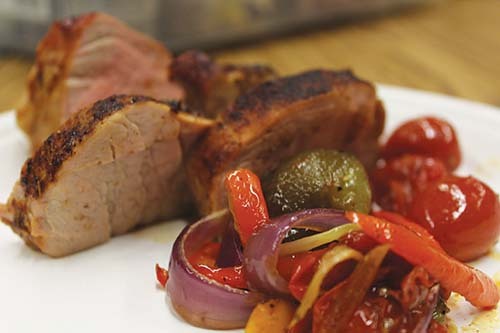 So far, the students have enjoyed many delicious dinners together including chicken wings, roasted lemon chicken and BBQ pork loin accompanied by some scrumptious sides such as beet salad, roasted Brussels sprouts and roasted squash. Future requests from the Wisdom Warriors include seafood like clam chowder, geoduck and salmon. The Diabetes Program also works with Tulalip TERO to hire Tulalip tribal cooks to assist Brit during the classes. Help Chef Brit Reed close out the year by joining her last two classes of 2017 on Saturday December 9 and Monday December 11 from 12:00 p.m. to 4:00 p.m. and be sure to keep an eye out for the upcoming Cooking Together classes slated for a fresh start in February of next year. For more information, please contact the Diabetes Prevention and Care Program at (360) 716-5642.